The new CMS Quality Payment Program established to reimburse physicians who see Medicare patients started in 2017. 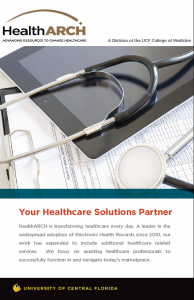 The HealthARCH team offers comprehensive education and support services to assist you in understanding this complex new model and making the right choices for you and your practice to succeed under this value-based payment system. For more information, please visit our MACRA page. The use of electronic health record (EHR) systems has become more widespread and it’s changing the way physicians deliver healthcare. The demand for organizations to be more efficient and patient-centered means being able to leverage technology to eliminate redundancies, errors and manage daily operations effectively. In today’s evolving healthcare environment, it’s essential for providers to stay current with technology. For more information, please visit our EHR services page. Promoting Interoperability (formerly Meaningful Use) simply means that providers need to show they’re using certified Electronic Health Record (EHR) technology in ways that can be measured against quality standards. These standards allow eligible providers to potentially earn incentive payments and avoid penalties by meeting specific criteria. For more information, please visit our Promoting Interoperability (Meaningful Use) services page. Safeguarding a patient’s protected health information is paramount when it comes to the effectiveness of electronic health records. Failure to meet HIPAA standards can lead to hefty fines and penalties. Conducting an SRA is an annual requirement for Promoting Interoperability (formerly Meaningful Use) and to qualify for incentive payments. For more information, please visit our Privacy and Security services page. 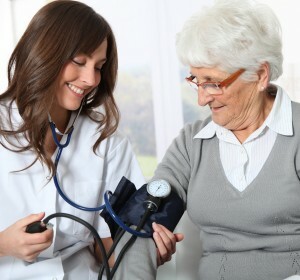 ICD-10 is a system for medical diagnosis and procedure coding for care management and billing purposes that went into effect on October 1, 2015. It impacts every system, process and transaction that contains or uses a diagnosis or procedure code. Our AHIMA-Approved trainers can provide you with the curriculum and knowledge your practice needs to be fully compliant and help you increase your revenue. For more information, please visit our ICD-10 services and workshops page. For a list of our upcoming ICD-10 workshops and webinars, please visit our Calendar of Events page. For more information, please visit our E/M Coding Training services, workshops and webinars page. For a list of our upcoming E/M workshops and webinars, please visit our Calendar of Events page. Billing errors can reduce a practice’s revenue by up to 30%, which can translate into as much as $50,000 in lost revenue per provider. 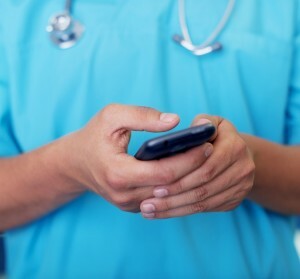 Whether it’s inaccurate or inefficient billing, errors can affect your practice’s bottom line. A billing audit provides a review of billing standards and helps correct billing oversights. For more information, please visit our Billing Audit services page. Led by a physician, the Medical Home model uses a team-based approach, providing continuous and comprehensive care throughout a patient’s lifetime to maximize health outcomes. The PCMH model will improve and transform how care is organized and delivered on a national level. For more information, please visit our PCMH services page.